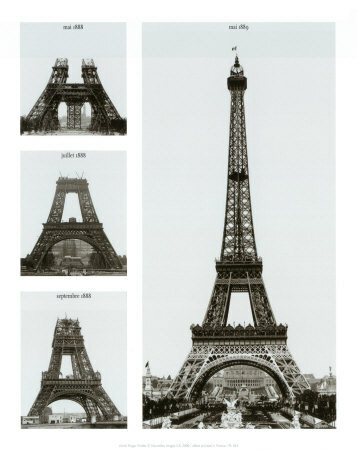 Beginning on April 30th, 2012, the historic Eiffel Tower will undergo massive renovations on its first level in an effort to update that level's viewing pavilion and make the area more appealing to visitors. The first level of the Eiffel Tower has actually not seen renovations in over 30 years, so the work is necessary. In an effort to create a more enticing visitor experience, the architectural firm of Moatti-Riviere has been hired. Along with basic renovating, the design firm is also tasked with lowering the environmental footprint of the tower, making the space more handicapped accessible, and modernizing the level. The popularity of the tower has actually been growing over the last few years, as is evident by the sheer amount of new visitors that are visiting the tower each year. In fact, more people have visited the Eiffel Tower in the last 30 years, than visited the it in its first 100 years of existence! And of course, throughout the renovations, the Eiffel Tower will be completely open to the millions of tourists that visit it each year! To book a tour of the Eiffel Tower, click here.